Another complete service project, this time for a housing development company in Hartlepool. ADS Creative started by modifying the brand of the parent company, making it better suited for the housing sector and then set about producing a range of advertising, stationery, on-sight signage and flags for new developments, and a bespoke website featuring a limited-scope content management system (contact us if you'd like to know why we advise that some projects would benefit more from limited-scope than fully content-managed). All in all a good, strong brand that is carried across all of their marketing material, helping them to rise above their competition and stand out. 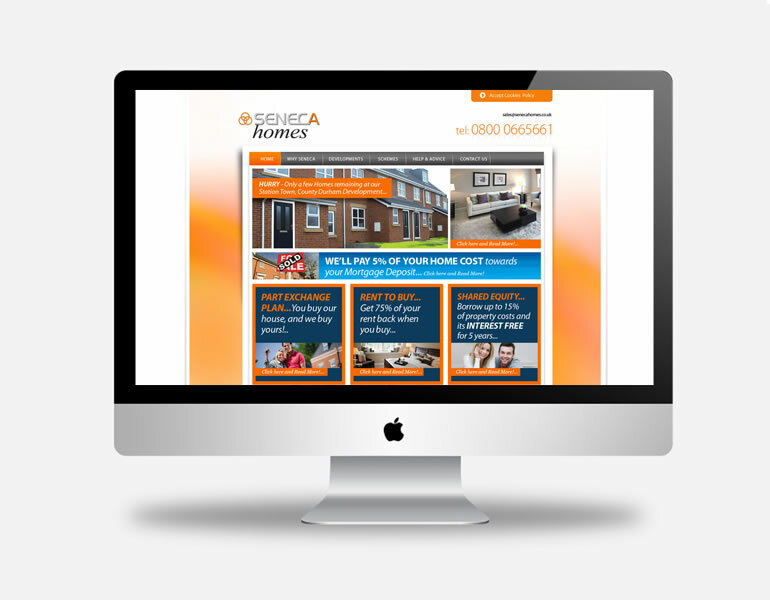 "ADS Creative recently assisted us in designing the branding of Seneca Homes along with the design and build our new Seneca Homes website. We have found the service received to be highly professional and we would not hesitate to recommend Ads Creative to others."